Work for Microsoft Text Analytics API? Learning about Microsoft Text Analytics API? "Una buena aplicación para el análisis de contenido de textos sin formato. " Es una aplicación interesante basada en la búsqueda de contenido y análsis de éste usando lenguaje natural, el cual es montado sobre texto sin formato. Con ello es posible extraer los principales indicadores de una frase, detectar el idioma del lenguaje usado, analizar el contenido de una oración, detectar el sentimiento de felicidad, tristeza, disgusto o gusto acerca de algo, lo que es más o menos conveniente de algún tipo de negocio, por ejemplo. De forma práctica, permite detectar la sintaxis de la oración, determinar los objetos o entidades claves y características a favor o en contra. Información que puede resultar muy útil, por ejemplo, para reconocer la apreciación de los clientes acerca de una marca o la satisfacción o características de un producto o servicio. La API resulta ser bien práctica y efectiva en el análisis de frases cortas, pero cuando se intenta hacer el análisis de un texto sin formato que contenga muchas palabras y caracteres el análisis se pierde y no resulta tan eficiente. A grandes rasgos, esta API bien puede ser empleada en redes sociales y páginas comerciales para evaluar el nivel de satisfacción de los clientes acerca de cualquier producto o servicio. Soy docente universitario, profesor de la Licenciarura en Informática de la Universidad de Oriente, Núcleo Universitario, Venezuela. Básicamente el uso que hago de los softwares es a nivel teórico-práctico. Para dar como ejemplo a mis estudiantes de los tipos de sistemas estudiados. Por tal razón, recomiendo a estos la incorporación de ciertas API en el desarrollo de los proyectos educativos que ellos elaboran. "A well set program toll that can be of great assistance"
The ease of use with common text applications was easy and smooth. When tested initially, the analytics tool automatically recognized the categorization and setup of text and conversation which was occurring. The bot then used universal analytics to match similar words that may be added to the list of compromised words which have been typed by the user. There were a few poor analytics, most of them which occurred during transferral speech with bot analysis. The bot was not able to provide the accuracy of date which was of need during the trial period. The weekend language was also not technical regarding criteria. This program can be of great use for text only analytics and speech to text corrections which are non-technical. The usability with standard content applications was smooth and straightforward. At the point when tried at first, the investigation instrument consequently perceived the classification and setup of content and discussion which was happening. The bot at that point utilized comprehensive examination to coordinate related words that might be added to the rundown of bargained words which have been composed by the client. "It's the best API for sentimental analysis and for information extraction from textual data!!" the best part about it's accuracy of result , which is generated in form of JSON , actually it's really hard to get the accuracy like this API, means it's highly trained and efficient model which will surely give you accurate result and it supports more than 120 languages on which we can perform sentimental analysis and many other stuff easily without building our own trained model !! Pricing for this API is little bit higher than other API's which are giving same services like it in with respect to their maximum number of transaction!! we use it to do a sentimental analysis and keyword extraction from the comments on our website!! "Useful tool for quick analysis of reviews and feedback"
The Azure Text Analytics is very easy to use. Go into the browser. Paste in your text and immediately pull keywords etc. I have found the sentiment meter to be flawed and completely incorrect at times. The AI needs a little work interpreting context created by other sentences. We never did anything technical with feedback until recently. It is very helpful to be able to easily pull keywords and phrases from feedback to see what language resonates with our customers. We are in the process of improving our messaging and marketing using data collected to inform decisions. "A penny for their thoughts"
Oooh lala now we know whay our customers are really thinkng. This cloud based service takes raw text and can analyze customers sentiments and also capture key phrases, helpful for our marketing. 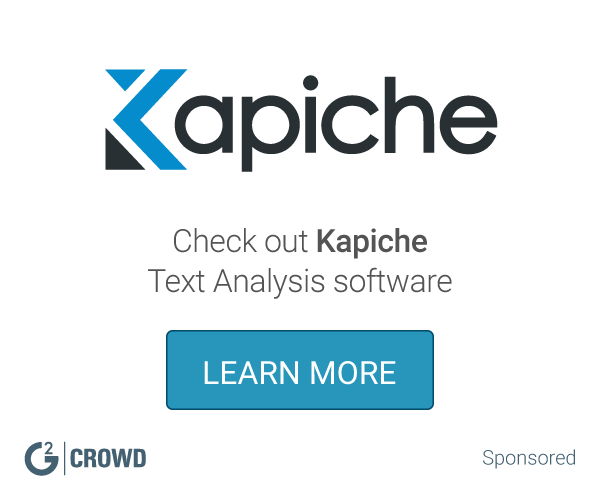 "Great api to extract information from reports "
Great API to process raw text. Makes it easy to see what people think of your product. We use it to collect key phrases in the text input so help analyze what people are saying about the latest product releases. As with any complex product, there is a learning curve. We were able to attain a good level of mastery in a few weeks of diligent work. We needed to analyze the most common phrases and words used when receiving customer feedback. We also input text obtained from reviews of our program to fine tune things further. We were able to make improvements based on the most common complaints. Chat and Email Bot systems - its ability to identify keywords which will help the initial conversation then trows to a real person for other issues. I love the customer support, ease of use, and advanced features (which might be confusing a first, but the customer service is great to walk you through the advanced features). I don't have anything I dislike about this program, it comes in 120 languages, which might seem excessive but it is awesome. Use the customer support to get through the advanced features instead of trying to figure it out yourself. Their customer service has been outstanding and they have helped me through any problem or confusion I've had. This has helped my writing for marketing to be more concise and easy to read. It’s easy to use interface and the ability to handle with ease. Nothing much. Documentation could've been a bit better, but apart from that no probems. I like how correct it is all the time and how quick and easy to use it is. sometimes it doesn't know what I mean and it takes longer. miss typed things and things that I mean, but can't think of. The depth in analytics is great, many different types of APIs are used. The reliability is sometimes off and the integration can be improved. * We monitor all Microsoft Text Analytics API reviews to prevent fraudulent reviews and keep review quality high. We do not post reviews by company employees or direct competitors. Validated reviews require the user to submit a screenshot of the product containing their user ID, in order to verify a user is an actual user of the product. Hi there! Are you looking to implement a solution like Microsoft Text Analytics API?